Home > Blog > For-profit or nonprofit financial leadership? 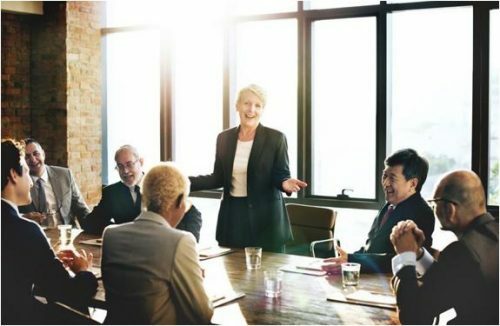 Most organizations require financial leadership, and professionals seeking these roles must consider which type of organizational structure and purpose they want to focus on. While some finance professionals will be drawn to publicly traded or privately owned for-profit enterprises, others will pursue opportunities in the nonprofit sector. The differences between these financial models can determine which roles are most suitable to particular candidates. Prospective financial leaders should compare and contrast working for a nonprofit organization (NPO) and finding work in the for-profit world. Seeking mid- to high-level financial roles looks different in each type of company, with day-to-day work responsibilities that suit the organizational structure. While some of the work tasks are consistent, others vary appreciably between the two business models. Finance leaders have a consistent mission in the for-profit and NPO sectors: They oversee budgetary matters and an organization’s financial direction. However, NPOs present unique challenges. Many of these considerations involve the complex and ever-evolving rules about securing, disclosing, and making use of funding. The CPA Journal explained today’s NPO finance leaders must become adept at disclosing organization outcomes to secure funding and keep donations coming in at consistent or rising rates. The challenge lies in the fact that there isn’t a simple, bottom-line number leaders can cite as proof that an NPO is accomplishing net social good. At a profit-driven enterprise, CFOs can point to quarterly profits as a marker of the organization’s success. The CPA Journal noted that savvy, modern donors seek in-depth proof that NPOs are having a positive impact; such metrics are often subjective and hard to measure. NPO leaders may also have duties beyond the financial department. This represents a philosophical difference between businesses and nonprofits. While the former may find professionals to handle specific responsibilities, the latter organizations are often concerned with getting maximum contributions out of each individual, both in and beyond their assigned roles. A Nonprofits Insurance Alliance Group Study found a vast majority of financial employees are expected to contribute outside of monetary matters, taking on everything from risk management to human resources. While the pro-volunteering ethos that draws individuals into serving in multiple functions can be demanding, it can also be considered one of the perks of working in the nonprofit world. People who seek the personal satisfaction of providing needed services in their communities can get this from NPO work. The Nonprofits Insurance Alliance Group added that financial leaders may be single individuals rather than teams if the nonprofits they work for are small enough, granting a high degree of control and responsibility at the expense of simplicity. Financial roles at for-profit enterprises represent a contrast to the similar role at NPOs, requiring similar talents but presenting professionals with different circumstances and demands. The fundraising and reporting rules facing NPO teams are replaced by separate taxation and investment regulations, while the team dynamics may prove to be the opposite of the multitasking commonly carried out at NPOs. The challenge of mastering finance at for-profit organizations is a mixture of personal leadership, deep financial knowledge, and careful oversight. Controllership involves reporting past financial performance accurately and quickly. Treasury oversight encompasses investment and making capital structure decisions. Economic strategy and forecasting is a forward-looking discipline based on keeping the organization on a solid path for years to come. The Corporate Finance Institute pointed out financial duties extend beyond these essential functions and encompass related matters that keep the company functioning. Financial leaders have to convey information to the board of directors and deal with procurement matters. Furthermore, leadership styles within the financial department have an impact on corporate culture. Today’s financial leaders also have to make increasing use of technology, with specialized software tracking every element of an organization’s financial performance. The Wall Street Journal noted that the most obvious differences executives will see between the two organizational models involve compensation and culture. Financial leaders rising through the ranks at corporations can expect to see higher salaries than those who have embraced NPO roles. For-profit officials also tend to have more access to administrative help, with team members available to split tasks and accept work on behalf of higher-ups. With regard to cultural differences, financial work at corporations tends to favor more frequent and rigorous reports, as well as a potentially higher focus on efficiencies. Leaders who are adept at shaving costs to provide great return on investment may find themselves more comfortable in the corporate world than the NPO sector. The factors complicating today’s corporate world separate these businesses from many NPOs. Conducting global business has increasingly become the norm, with organizations hoping to expand as far as possible and addressing new legal and cultural realities. Combined with ever-shifting regulations, this need to perform transactions that span the globe has created a demand for financial leaders with international expertise and an ability to react quickly and decisively in complex circumstances. Studying for an advanced degree in finance is one way to build such a background. Whether a prospective student is more interested in taking on financial leadership of an NPO or climbing to a similar role in a for-profit enterprise, studying for a Master of Science in Finance degree program can be the right choice. The Nonprofits Insurance Alliance Group noted there is a widespread assumption of NPO leaders coming from less formal education, but this belief is false. Nearly half of financial professionals at NPOs, 47 percent, do have degrees in finance. 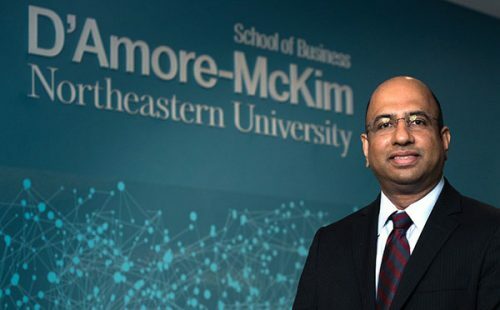 Northeastern University’s D’Amore-McKim School of Business offers an Online Master of Science in Finance, enabling professionals to build their knowledge and earn educational credentials hiring managers should appreciate while staying in their current roles and studying on convenient schedules. Courses in topics such as financial strategy and risk management can directly apply to financial leader job duties, no matter what kind of organization they’ve joined. Financial leadership combines an ability to form an overarching plan with a savvy knowledge of regulations and day-to-day procedures. In this way, nonprofit and for-profit roles are fundamentally united. Advanced degrees, such as the Online MSF, can equip prospective finance managers and executives with these types of expertise. Investopedia – What does a Chief Financial Officer (CFO) do?